The 27th Shanghai 2018 International Hospitality Equipment & Food Service Expo, HOTELEX Shanghai, exhibits a wide range of hospitality and catering equipment, design and supplies, as well as fine food trade events in Shanghai, China. The event covers the value chain from catering equipment and tableware to catering supplies, fine food, bakery, ice cream, beverages and cooking ingredients. From 2018, HOTELEX and Expo Fine Food Indonesia will be licensed to take place in Jakarta. Offering an international networking platform, a total of 4,814 independent overseas buyers and 1,500 group buyers confirmed both HOTELEX’s leadership and its influence on international markets, and how the event has helped forward-thinking industry players to meet the right people. HOTEL PLUS 2018 (Phase II) focuses on international hospitality supplies and design as well as hotel furniture and cleaning. The show is a total sulution for commercial properties, not only extracts the abundant buyer resouce from the hospitality industry, but also expands the market share by liasing with commercial space develoers, realty owners and interior designers. Aiming to become a one-stop purchasing platform for hotels, shopping malls, restaurants, clubs and office buildings, HOTEL Plus offers way beyond brand establishment but more importantly, to consolidate your industry position. HOTELEX has been expanded to HOTELEX Plus aka Shanghai Hospitality Design & Supplies Expo during April 26 29, 2018. The exhibits feature Building, Interiors, Lighting, Amenities, Fitness & Leisure, IT & Security. Design Week Shanghai and Expo Lighting for Commercial Properties will also be held at the same time. The 2017 event saw more than 600 attending exhibitors with 39,230 professional visitors from over 121 countries and regions. All kinds of conferences and salonsas well as mock-up roomswere featured across 46,800 m². The event was open to buyers from a wide range of sectors, including real estate, hospitality, construction and design, offering them a valuable opportunity of meeting the right exhibitors. Major forums like Central Kitchen Construction and Development Forum, Development of China Catering Industry Supply Chain Forum, 2017 HOTELEX Shanghai Innovation of Commercial Kitchen Design, and HOTELEX Catering Industry Forum are designed for industry practitioners to liaise with current suppliers, to meet prospective clients, and to highlight front-line products being developed. 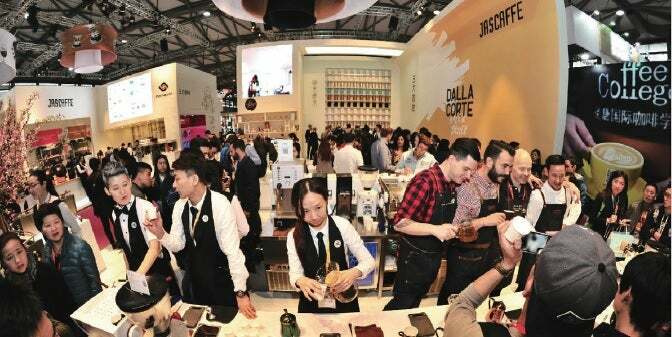 The main categories the expo targets are industry buyers and food service operators from the hospitality industry, key delegates like distributors, retail dealers and purchasing managers. HOTELEX has more than 30 ‘events within the event’ designed to promote and encourage new ideas in the marketplace, continues to develop catering and hospitality knowledge by launching creative concurrent events and campaigns from both sectors. Shanghai UBM Sinoexpo International Exhibition (UBM Sinoexpo) is a professional online-to-offline (O2O) events company that organizes tradeshows / online business-to-business B2B platforms. It is a total service and solution provider through cutting-edge trade exhibitions, business events, print, B2B portals and database services, covering the furniture, hospitality, commercial properties, leisure, pharmaceutical, food and lighting sectors. Shanghai International Hospitality Equipment Supply Expo (HOTELEX Shanghai) is a worldwide professional trade show in the hotel and catering industry for over 26 years. Aiming to be the mogul of hospitality industry, towards which HOTELEX is marching with the support of east, west, and south areas referring to HOTELEX Shanghai as a role model, dedicating to win over both Asian and the rest of international markets.